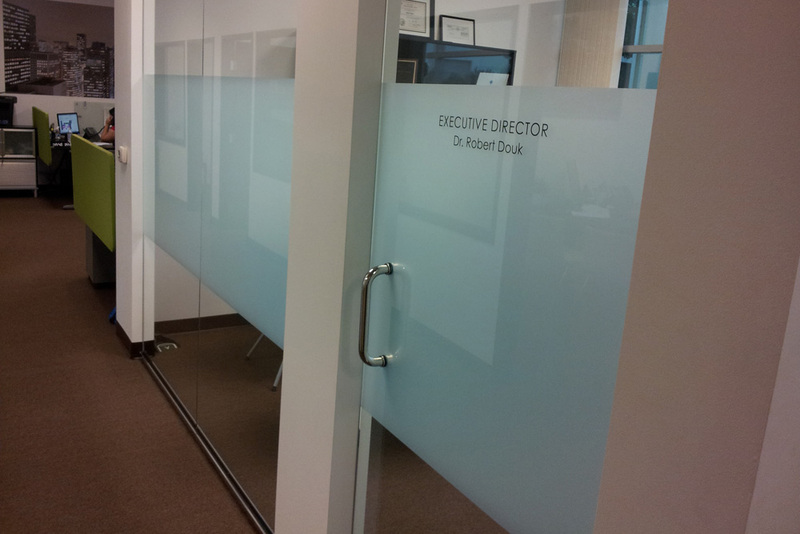 Frosted / Etched Glass Film adds privacy and a modern look to windows and glass doors without keeping the wonderful light out. Our custom vinyl cutting operation is ready to take your design and provide the highest quality vinyl graphic work, ready for installation as distractions, window graphics or full glass coverage. We specialize in commercial architectural applications. We understand the importance of getting the details right. We’ll match your specifications exactly, and we are able to provide quick turnaround and professional installation. We can install all types of etched glass vinyl films including 3M’s Fasara, Frosted Crystal & Dusted Crystal and Avery’s Frosted Sparkle & Etchmark. Contact Us Today to Schedule Your Design Consultation!